These primitive populations could not live through their colonization and have disappeared. The ethnic groups of Tierra del Fuego had arrived in such territory before it became an island, about 10,000 years ago (the Magellan Strait was open about 8,000 years ago). 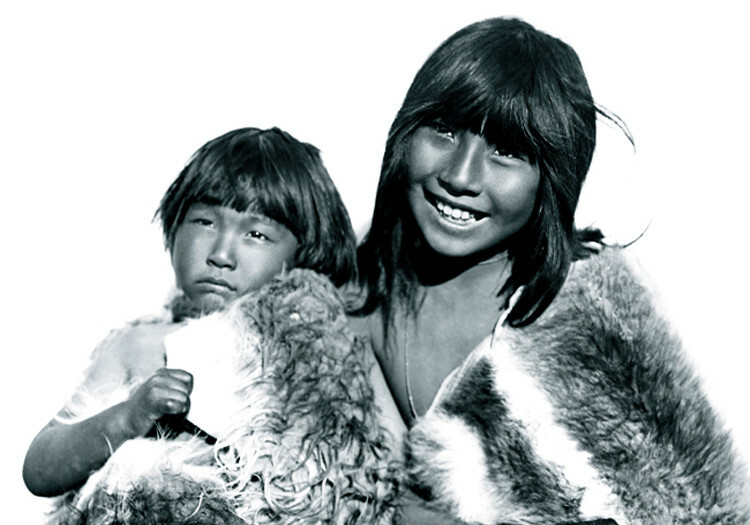 The Selknam (3,000 to 4,000), the Yámanas (3,000), the Alakalufs (4,000 to 4,500) and the Haush (300) populations were estimated to be about 10,000 and 12,000 people before the colonization. Magellan “discovered” Tierra del Fuego in 1520 but the colonization process would begin in the second half of the 19th century, bringing unknown and fearsome diseases (syphilis, tuberculosis) for the aborigines who, with the persecutions, ended up in an almost absolute extinction of the first populations in only tens of years: only 250 were left in 1920. The cultural clash and the huge unbalance of the big powers left few possibilities for these ethnic groups who were used to living in the Stone Age. 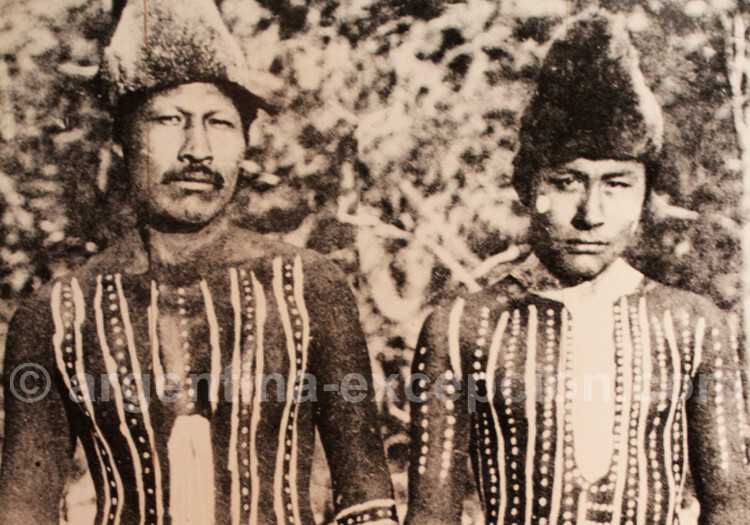 By the end of the 20th century, no direct non-mixed race descendent of the Argentine Tierra del Fuego aborigines was left and just a handful of Alakalufs survived in Chile. 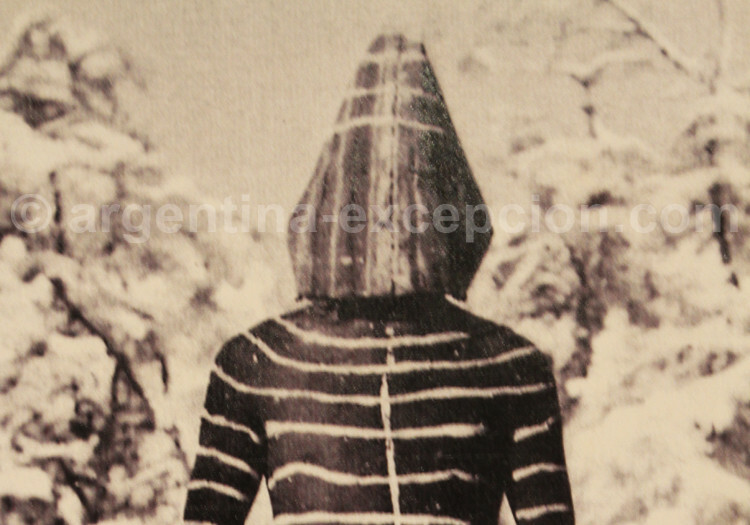 Upon the arrival of the white man in Tierra del Fuego, the Onas still lived on hunting guanacos with a bow and arrows, on hunting wolves and birds, and on harvesting wild fruits and mushrooms. The groups that lived in the Litoral also went fishing. While men hunted and made weapons, women were in charge of the household chorus and raising the children. They all protected themselves from cold weather with guanaco or coruro (a rodent) pieces of fur; men wore leather moccasins and guanaco-fur hats. They ornamented themselves with jewels and body-painting. Their house was a simple tent covered with furs; a light structure that these nomad groups could move from place to place depending on the season and the natural resources. The families that lived in the woods built cabins. 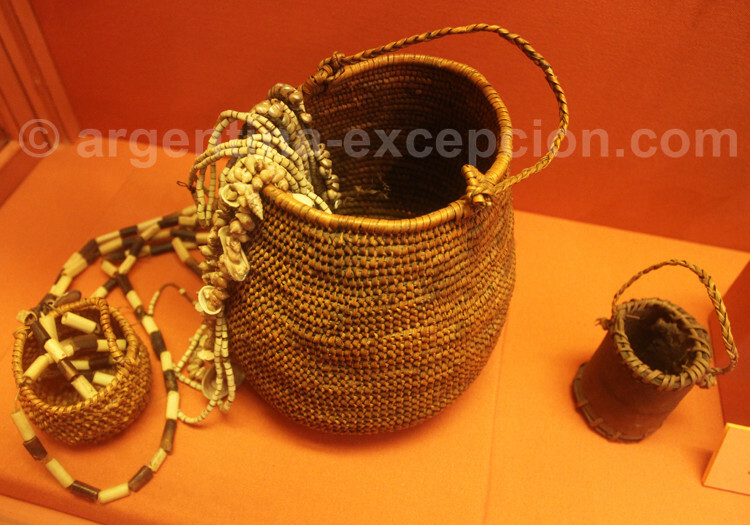 Everyday objects were limited: vegetable-fiber baskets, leather bags, and stone, wooden or bone utensils. A very primitive way of living made a great contrast with their complex symbolic world made up of rituals, ceremonies, myths and legends. The chamanes participated in these rituals and were those who had “medical” knowledge and exercised the power over hunting and war. The Selknams had no chief but wise persons that were entrusted with the traditions and the warriors that were respected by the whole tribe. By the end of the 20th century, they were mercilessly chased by the white conquerors who wanted their lands to develop cattle-rearing and to search for gold. 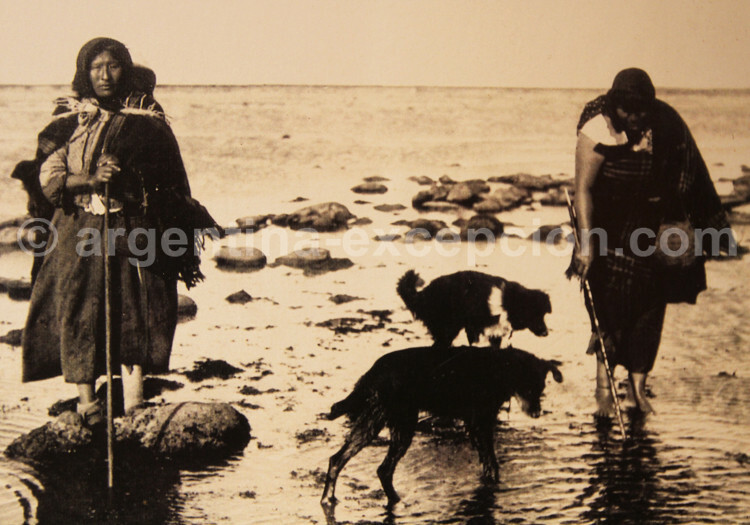 The Yámanas lived on the coast of the Beagle Channel up to Cape Horn. They moved around by tree-bark canoes. With the aid of harpoons made of whale bones, they hunted cetaceans, sea lions and elephants. Despite the cold, they could go scuba diving for fishing some sea food as well. They lived in small related groups in canoes or huts. They wore loincloth and furs to partially cover their backs and spread animal grease on their bodies to be protected against cold weather. They disappeared mainly when they made contact with hunters of whales and other sea mammals. 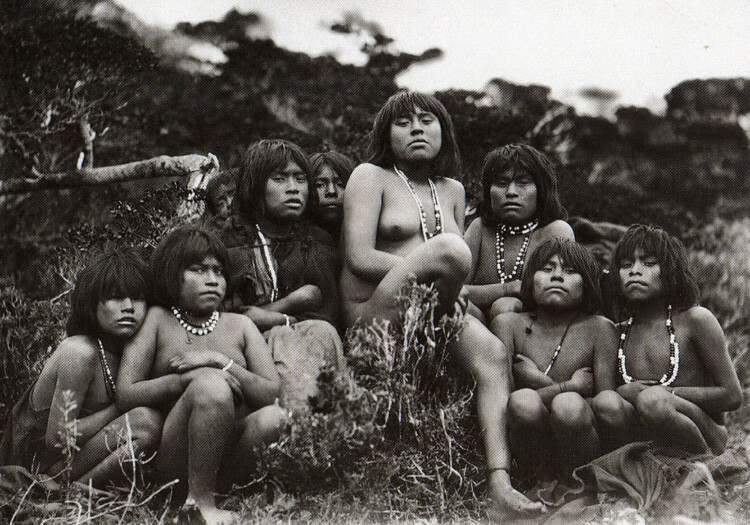 This ethnic group, another sea nomad population, had a way of living very similar to the Yámanas. They also moved around in canoes made of tree bark covered and made waterproof with moss, sea plants and mud. 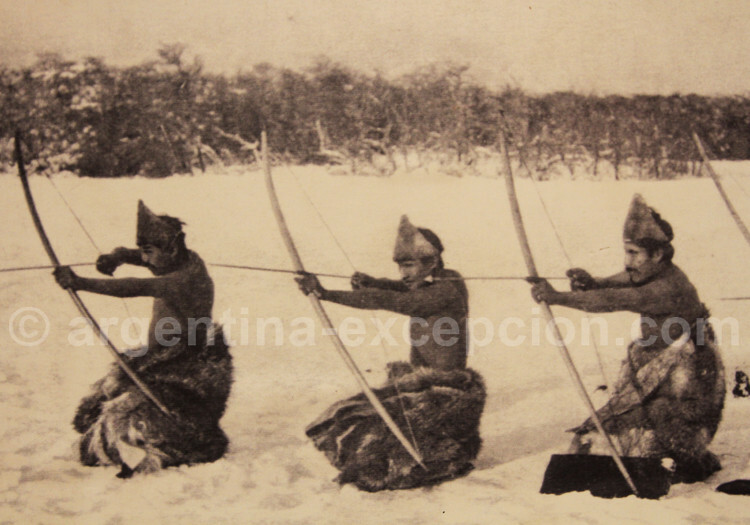 They were excellent fishers; they practiced hunting of huemul (deer), coipos (rodents), and wild ducks. They lived in huts covered with seal fur, which were constantly moved around. The eldest and the witches had a great spiritual influence on the community. They believed in a Supreme Being, Watauinewa, creator of everything, and in several gods and spirits. The Alakalufs lived mainly in the present Chilean part of Tierra de Fuego. This ethnic group from the Southeastern region of Tierra del Fuego lived on hunting sea lions with rudimentary weapons made of stone, wood and bone. The Haush tattooed themselves and made deep scarifications. As they were just a few, they joined the Selkmans in a desperate effort to present resistance to the conquest. – Yámana Museum, Museum of the End of the World and Maritime Museum in Ushuaia. 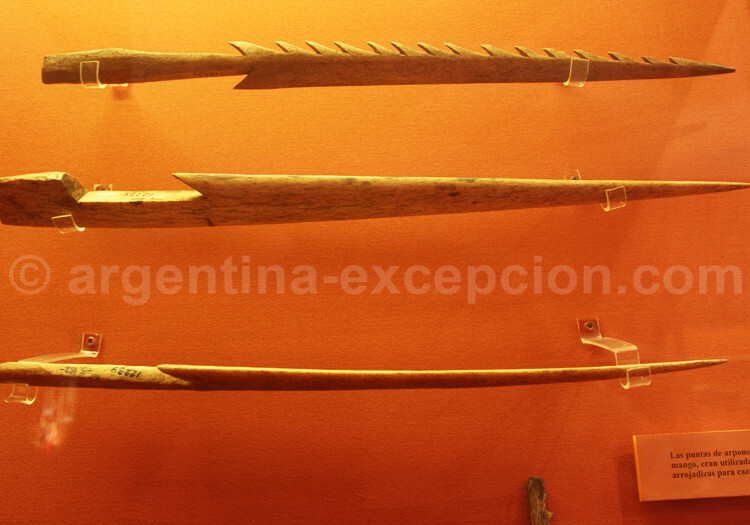 – Ambrosetti Ethnographic Museum in Buenos Aires.